Practical and resistant, this printed canvas bag could be wear either to the beach or to the city. The length of the handles makes it wear on shoulder or hand. With a canvas lining plain, there is a zipper closure. On the black background, the name of the touristic islands well known are written in white letters in differents sizes : Tahiti, Bora Bora, Moorea, Nuku Hiva, Hiva Oa, Rangiroa, Raiatea, Tahaa, Maupiti, Huahine, Rurutu, Tubuai. It can be read the name of 3 archepilagos : Tuamotu, Marquesas, and Austral islands. 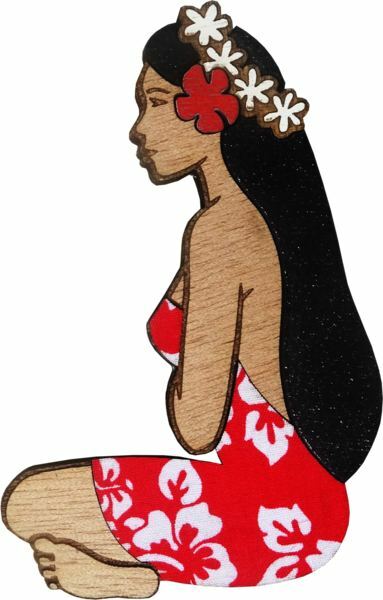 Some designs typically Polynesian are drawn between the names of islands : turtle, manta ray, tiare flower.